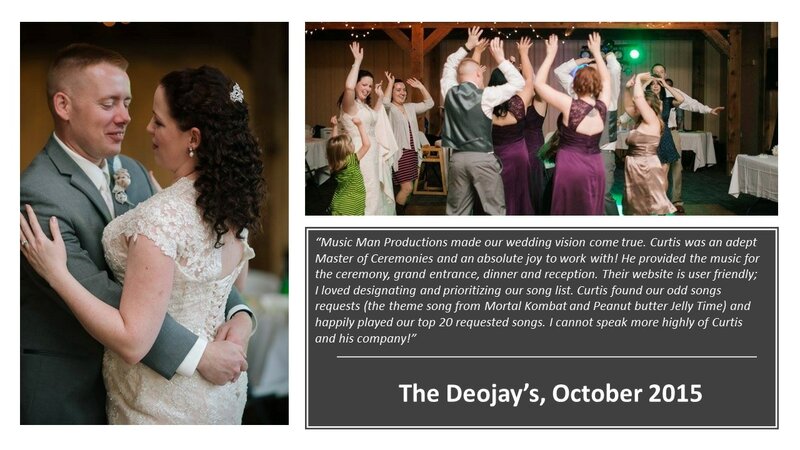 "We used Music Man Productions at our wedding reception and were so pleased with the service. 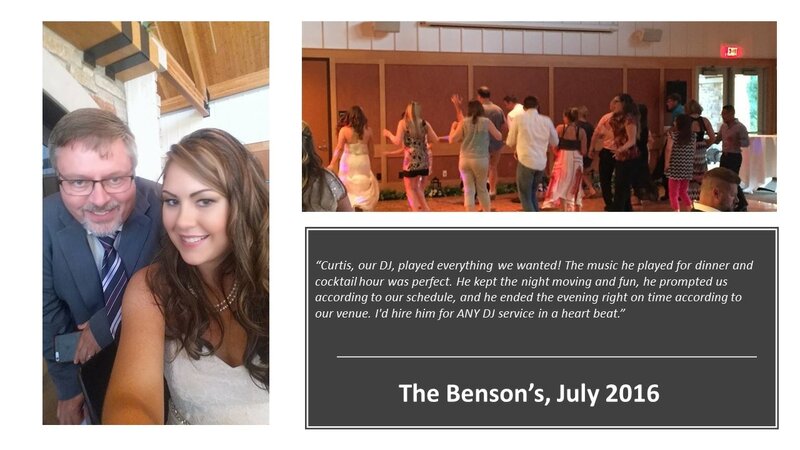 Prior to the wedding, we met with Curtis and were able to lay out what we wanted/didn't want in regards to our reception music along with planning out the order of events at the reception. 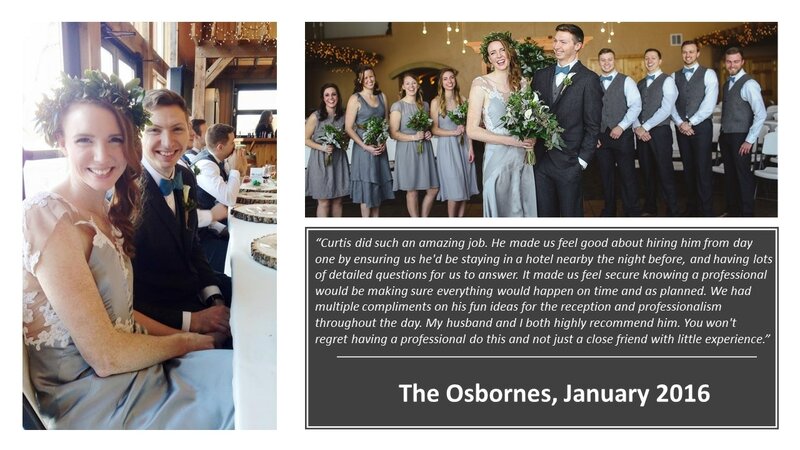 Curtis was extremely helpful with his own ideas and took our suggestions as well. 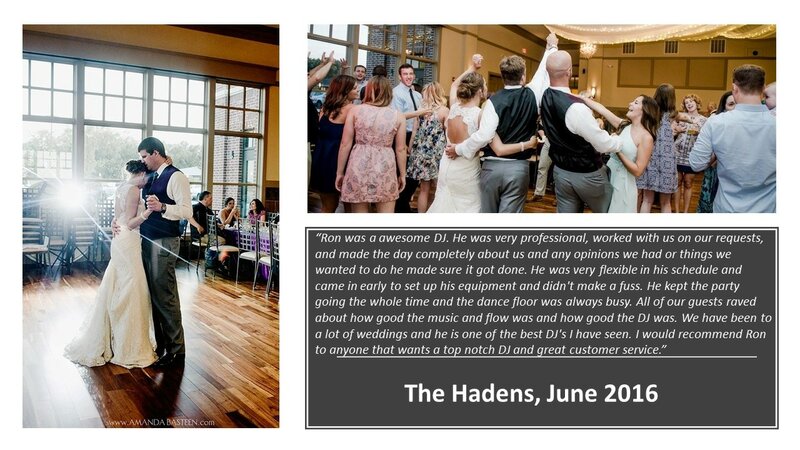 For even more client reviews and testimonials, visit our page on The Knot or Wedding Wire. 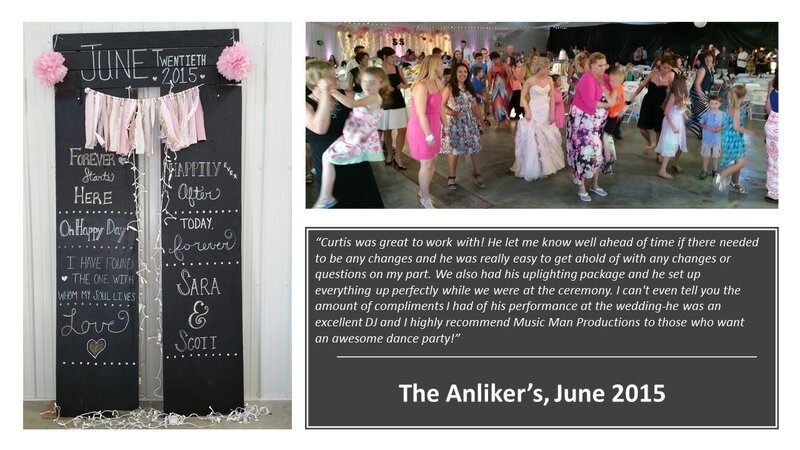 Feedback from our clients is always appreciated! 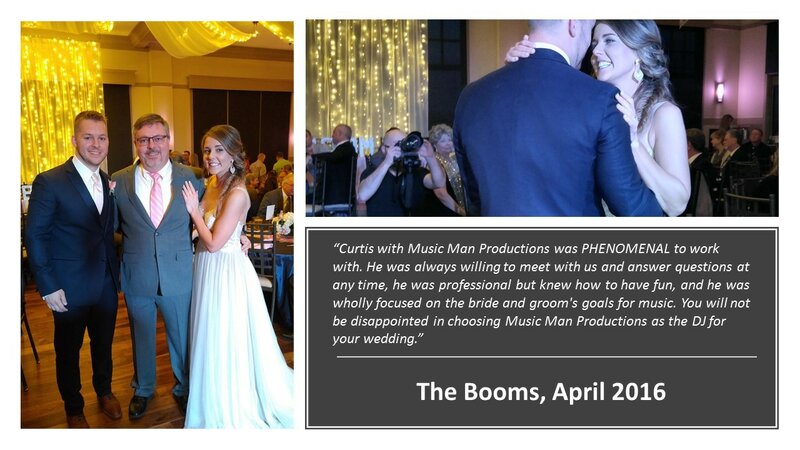 Not only do our clients reviews and testimonials help us "spread the word" about Music Man Productions, they also help each member of the Music Man team improve their performance.